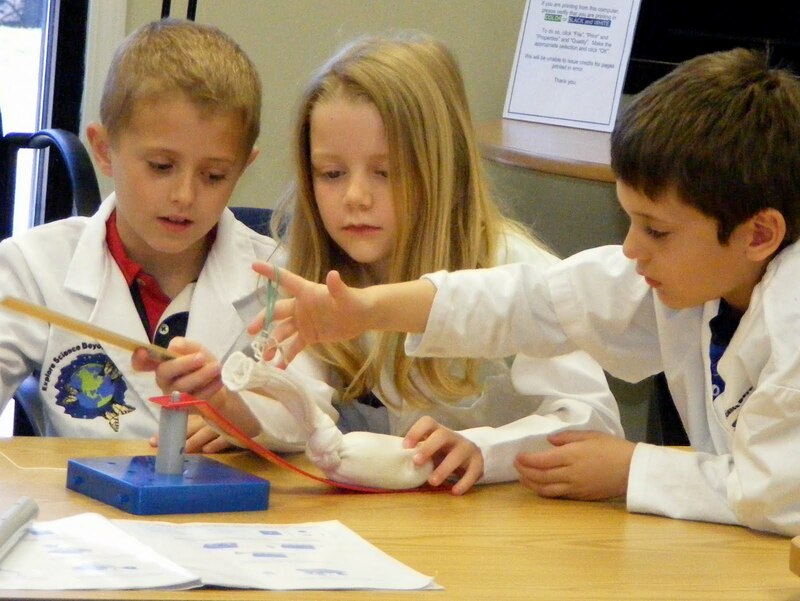 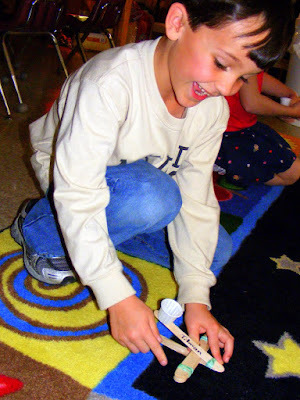 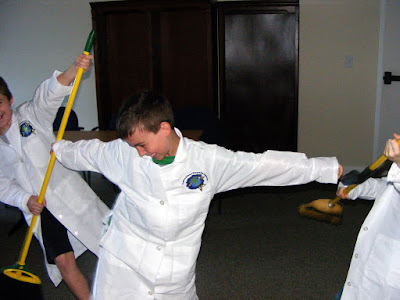 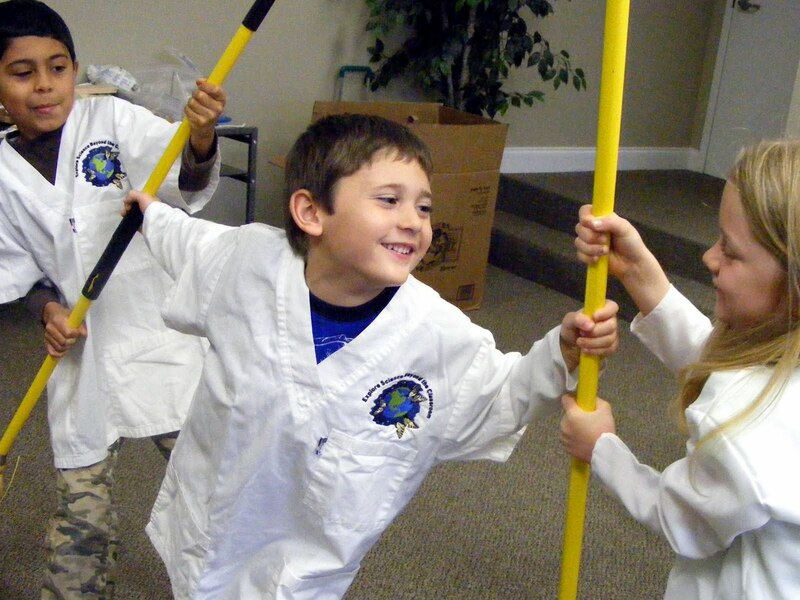 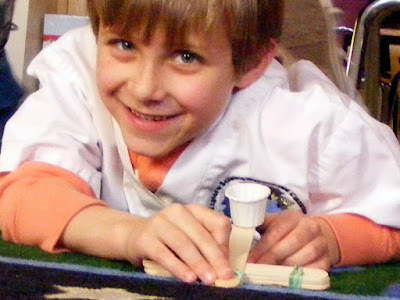 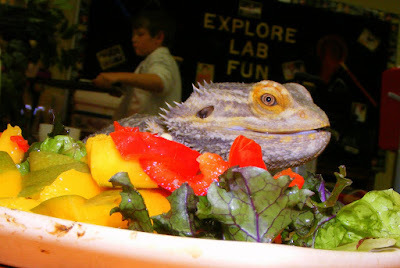 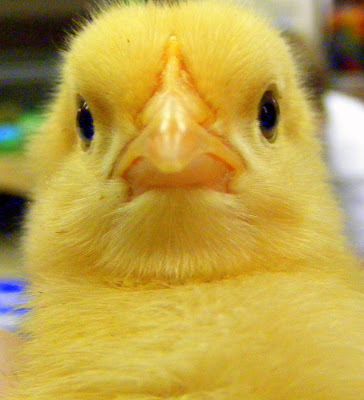 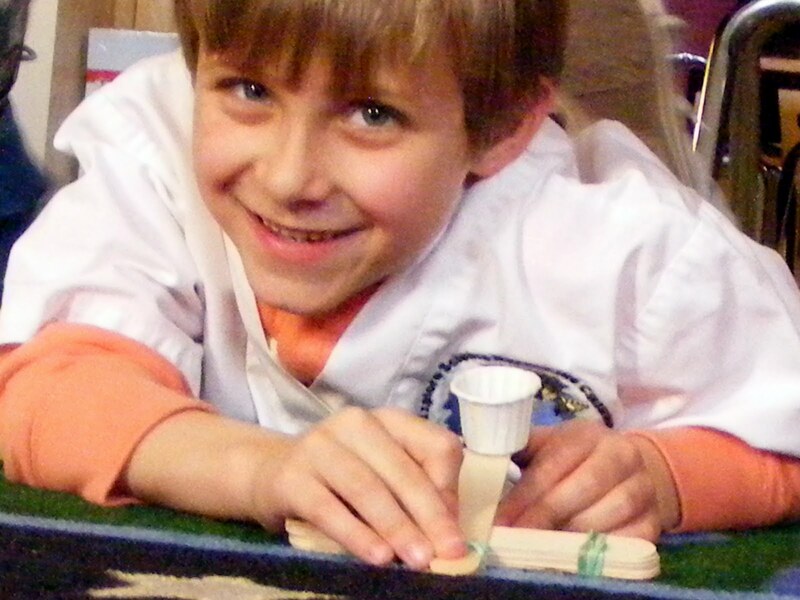 What is little, yellow, cute and fluffy and visited our Simple Machines Lab this past month? 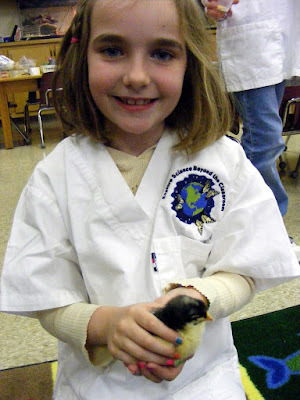 Students had time to "hang out" with the lab animals for a bit before we began. 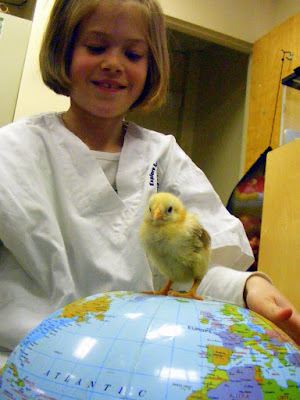 It was hard to pry the chickens from the students to begin the lab. 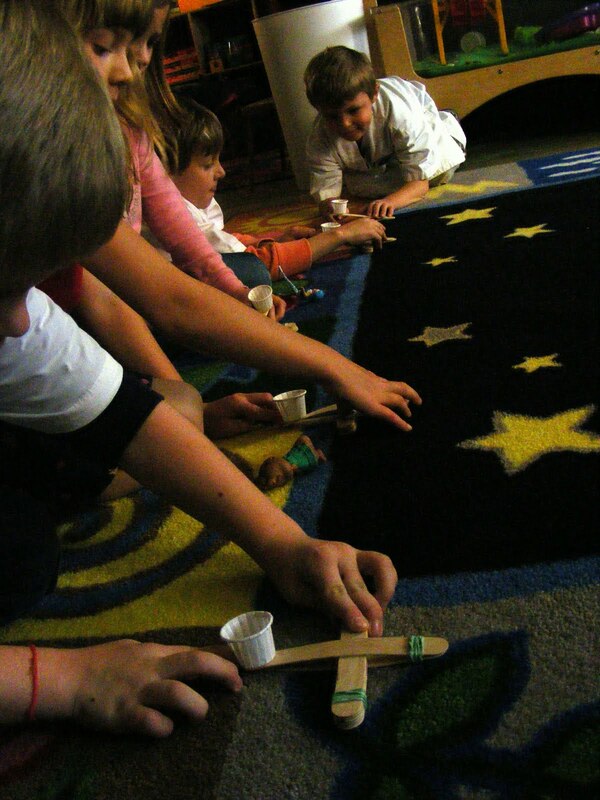 What are these chicks doing inspecting the simple machines? 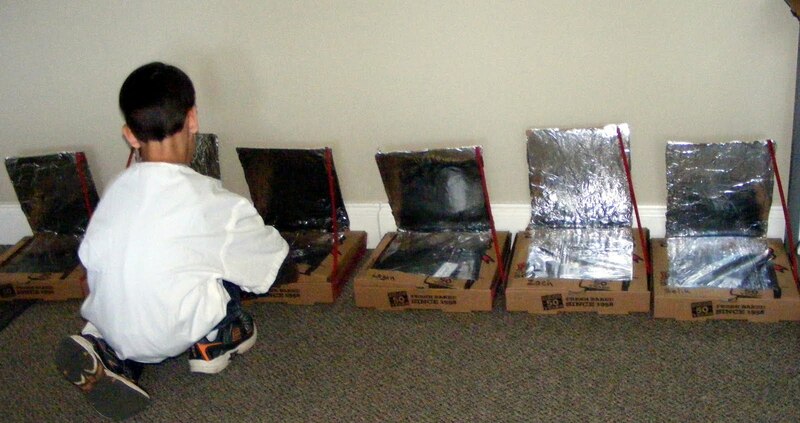 We also built pizza box solar ovens. 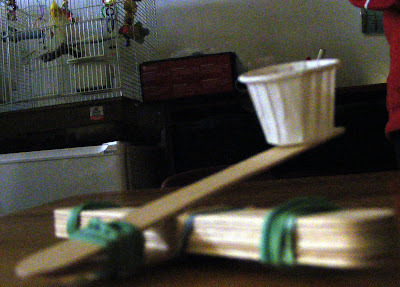 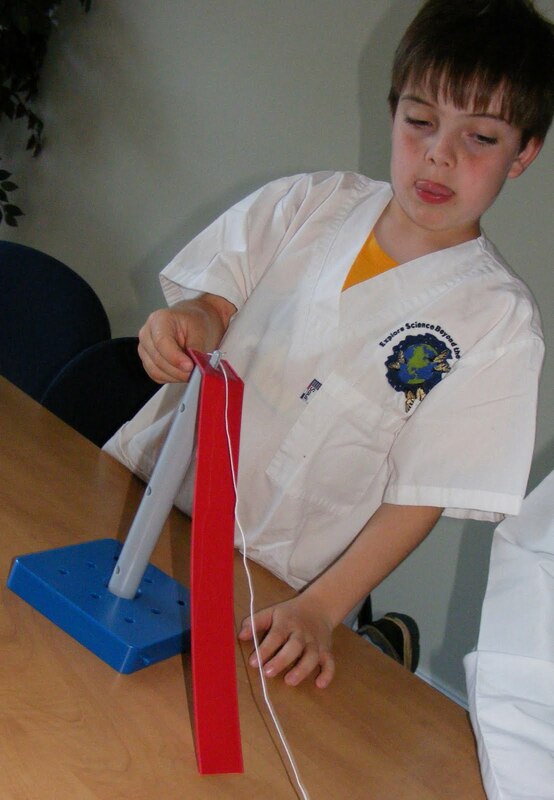 And we studied all the six simple machines as we tried experiments with them. 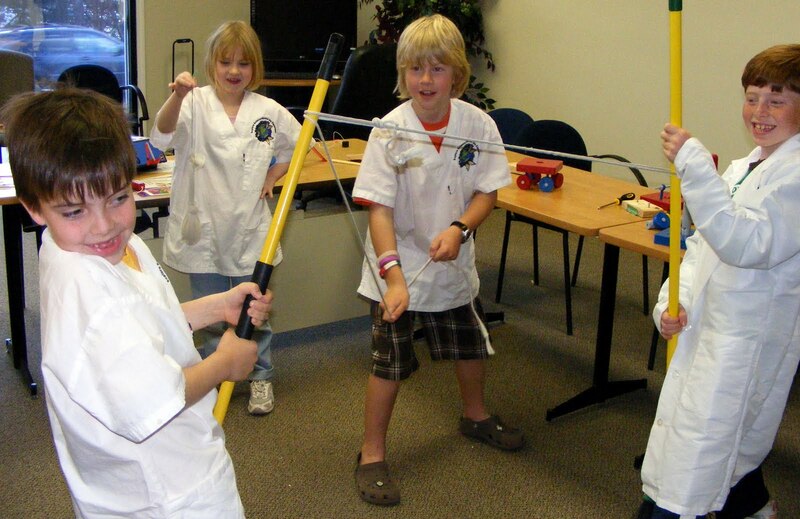 Here are some students demonstrating the value of a pulley on a couple of broomsticks.